I’m going to make my understatement of the year in the following sentence so be forewarned. I’m not the kind of girl who rocks the minimal makeup look. It’s not that I feel the need to wear makeup in public constantly – I’m fine going out without makeup and I do enjoy it on a regular basis – but I don’t see the point of the whole natural minimalistic makeup as I feel like slapping on mascara and foundation to be missing the whole value of makeup. I have the kind of face (especially my large eyes) that really benefits from more definition than that, however I love the look sported on the runway and whatnot of makeup with a slight pop of colour on the lips that looks like skin everywhere else without losing the benefit of makeup. Can anyone follow my logic here? It’s actually frightening to think of how many occasions that I’ve attempted to write a post of this variety but failed in some drastic way. 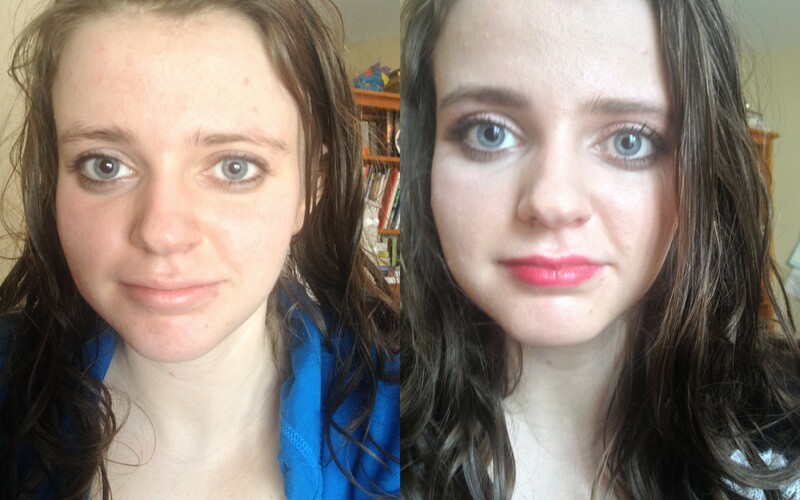 Inspired by the makeup goddess we call Lisa Eldrige (she embodies the not overly-made up makeup), this happened. While it’s improved drastically in the last day or two, I’m going through quite a breakout on my face and one that’s quite difficult to cover on account of texture and general skin irritation at that and had to think about what foundation wouldn’t highlight all of that loveliness and I went with my recently purchased Revlon Nearly Naked for its luminous but seamlessly blending texture that provides a true medium coverage. I’m very pleased to report that it didn’t highlight the warzone currently occurring on my forehead while still covering the uneven tone. 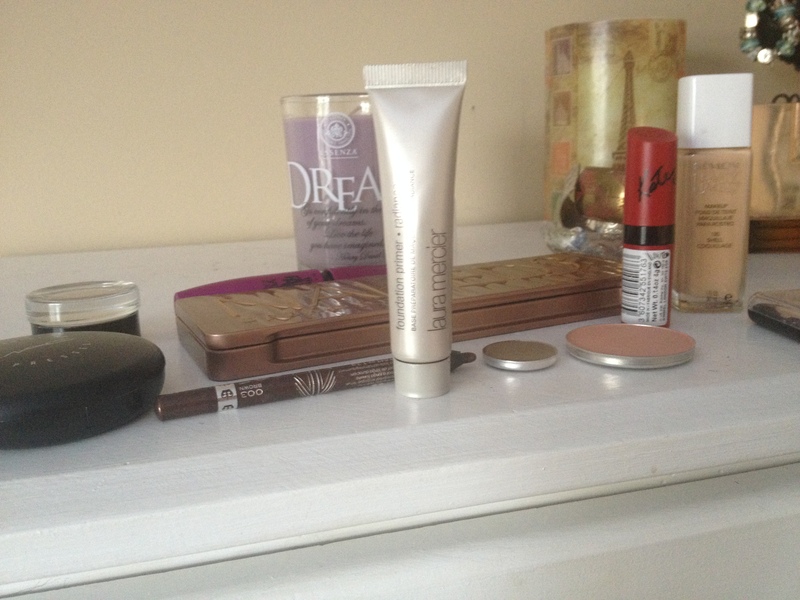 But first I did apply some Laura Mercier Radiance Primer, I might add. Inspired by Lisa even further, I used my Real Techniques Detailer Brush to do some pinpoint concealing with the second-lightest shade Make Up For Ever 5 Camouflage Cream Palette – the colour was spot-on enough that I could actually see the benefit of the technique. Hmmmm. Oh, and the lightest shade was blended underneath the eyes to highlight and cover the bags. I’m not always a powder kind of girl but I do find the MAC Studio Careblend Pressed Powder to help cover and blur texture imperfections and that’s sort of essential on a day like today. With my square face and all, I rely on doing some sort of contouring regardless of how casual I want to look and I used the contour/blush hybrid, MAC Tenderling, that looks like skin while adding some shape. 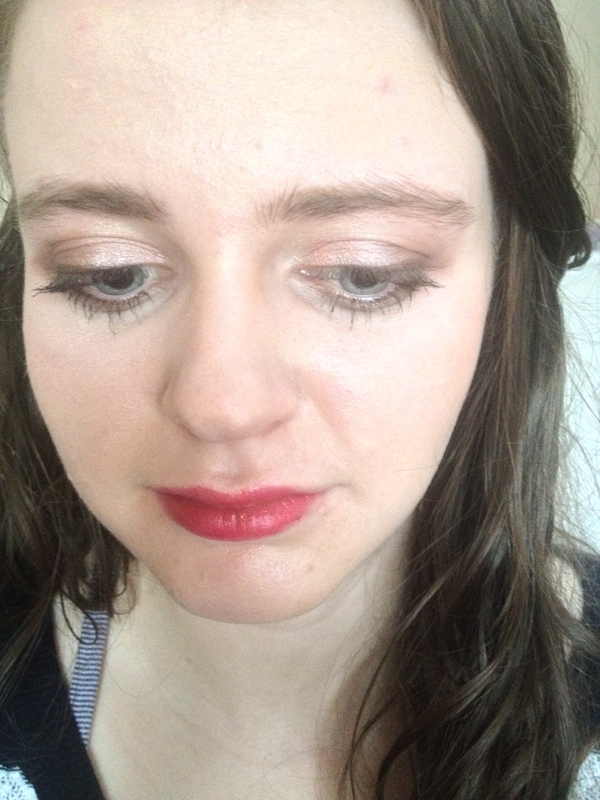 I wore the hyped Rimmel By Kate Moss Lasting Finish Lipstick in 107 on the lips, applied with a brush for a more natural, precise and effortless sort of effect. Note: this is a lipstick that I find difficult to wear as I don’t know what to pair with it – truly minimal makeup makes my lips look overly pronounced and too much going on makes the lipstick stand out in an unflattering manner on me due to its pink tones. The formula is one of my favourites, wearing for a long time without drying the lips and wearing evenly. There’s something I love about a bold lip with minimal looking makeup and the whole effortless but polished and awake look that it brings. I must take note of how I applied it today because I’m feeling it. 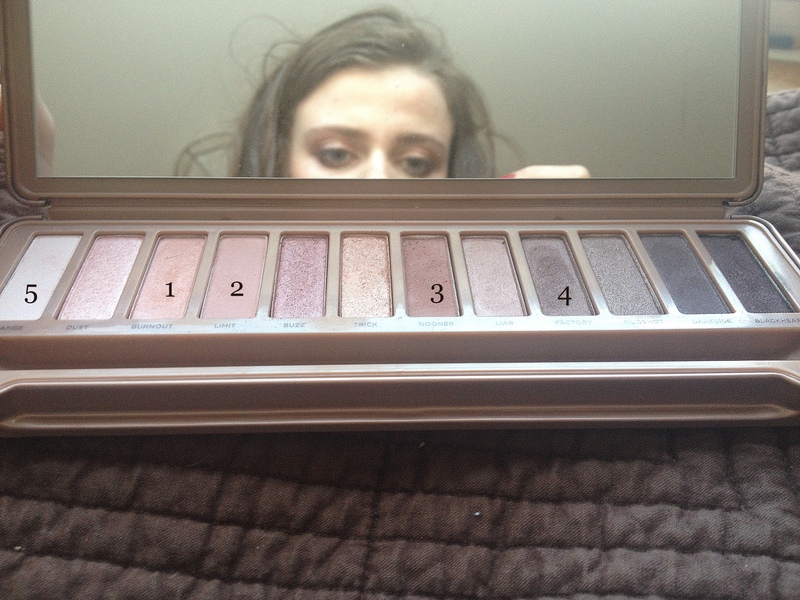 Of course, I wore my Urban Decay Naked 3 Palette today and continued with my consecutive wearing streak but these flattering warm shades are ideal on me for an effortless yet defined makeup look. Having weirdly creasing-prone lids, I put the Maybelline Colour Tattoo in Barely Branded on my lids underneath the shadows. First I put Burnout, the peachy golden shade on the lid and then I blended the mauvy-taupe Limit into the crease and the slightly darker Nooner lower down in the crease. Then I added some of the plummy-toned Factory into the outer corner and used the matte Strange to highlight. This sounds like a lot, I know, but it was quick to do and reads as simple definition on the lid. Although I actually really dislike the Rimmel Scandaleyes Eyeliner in Brown that everyone seems to be in love with, I find it overly waxy and unpigmented, I used this on both the upper and lower lashlines to add some definition to the lashlines without reading as liner. I really don’t understand the hype on this one. On the mascara end of things, I doubt you really even need to ask…. Same with the brows. I’m one of those people blessed with unruly yet sparse shapeless brows and filling them in is essential and obviously I used the ashy MAC Coquette eyeshadow and an angle brush from the same brand. Do you frequently sport minimalistic makeup? What do you reach for when you go for minimal makeup?